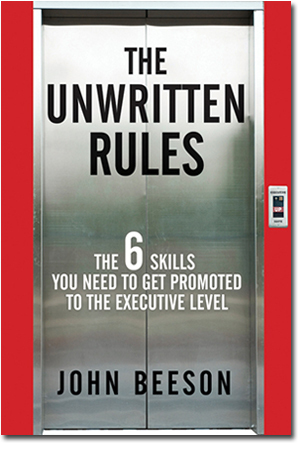 For additional information on The Unwritten Rules: The Six Steps You Need to Get Promoted to the Executive Level (Jossey-Bass, 2010), please visit www.unwrittenrulesbook.com. © John Beeson, 2011. All rights reserved.